The stormtrooper is part of a Star Wars project we did for a client. You can browse our showcase to see the rest of the models we did in that series. 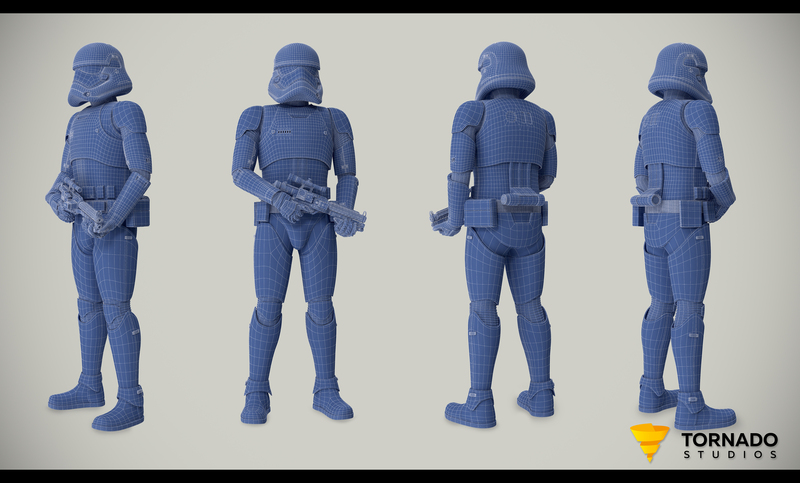 From start to finish it took us 9 days to create this buckethead using 3Ds Max and V-ray. The asset is fully rigged and it is created to the highest industry standards - Checkmate. 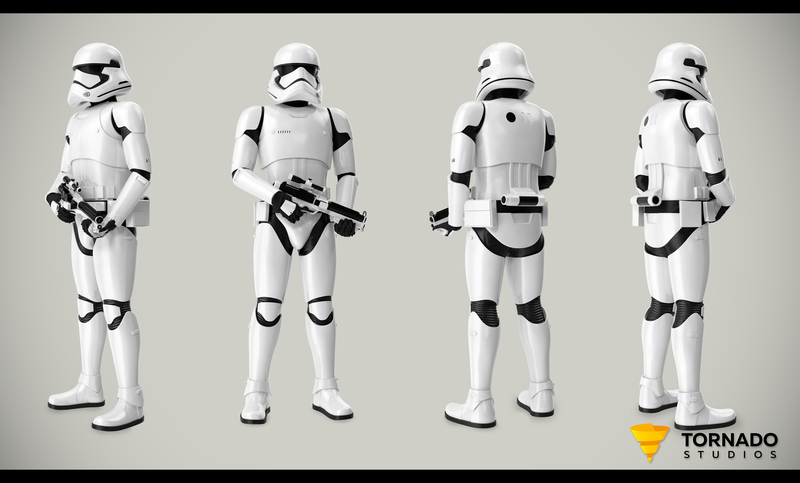 There are of course many references online but the Stormtrooper has changed somewhat between the different episodes. The design that you see here is from the 7th movie. We do not sell this asset in our 3D Stock Catalog but feel free to browse the rest of our models HERE.